Mohnen is a professor of biochemistry and molecular biology at the University of Georgia. She has served on the Committee on the Status of Women in Plant Physiology of the American Society of Plant Physiologists and was an invited faculty sponsor for the UGA Association for Women in Science (AWIS). She is past member-at-large in the Cellulose and Renewable Materials Division of the American Chemical Society, and past member of the Council for Chemical and Biochemical Sciences, Chemical Sciences, Geosciences, and Biosciences Division in the Office of Basic Energy Sciences, Office of Science, U.S. Department of Energy. As Co-PI on the NSF-funded "Plant Cell Wall Biosynthesis Research Network," Mohnen established and continues to direct "CarboSource Services," which provides rare substrates for plant wall polysaccharide synthesis to the research community. Mohnen was awarded the 2008 Bruce Stone Award by the Plant Polysaccharide Workshop for contributions and promising research in the area of Pectin Biosynthesis. She received the Student Government Association Certificate of Recognition for Outstanding Commitment to the Students of the University of Georgia in 2008 and the Outstanding Faculty Research Mentor award from Division of Biological Sciences, Franklin College of Arts and Sciences, University of Georgia in 2012. 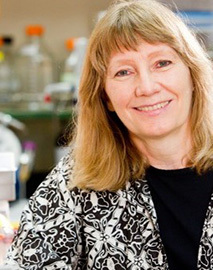 Mohnen was Chair of the 2009 Plant Cell Walls Gordon Research Conference, serves as an Editor-in-Chief for Biotechnology for Biofuels, and serves on scientific advisory boards for multiple bioenergy centers. She was elected as an AAAS Fellow in 2013.